Aaron Kendell Packaging Equipment (AEK) has a large inventory of reconditioned, unused, and used bag in box combination erector and bag inserters. If you are looking to sell your used bag in box combination erector and bag inserter submit a request online or contact KC Christensen at 630-238-2660. 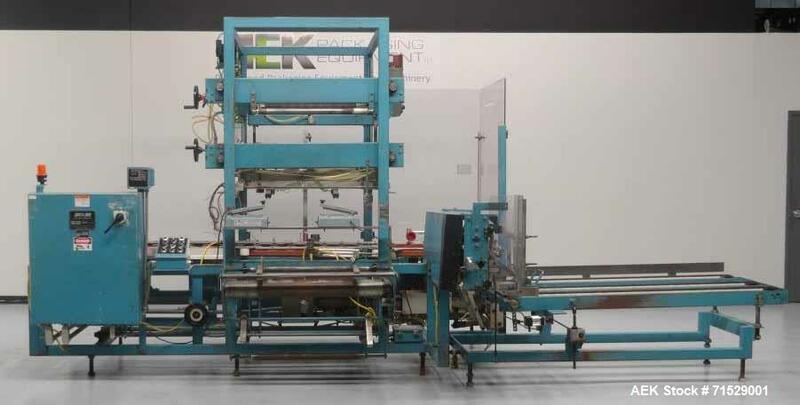 Used- K&R Model PBI Case Erector and Poly Bag Inserter. Has a case size range of 10" to 12" (Length); 6" to 12" (Width); and 6" to 15" (Height). Case infeed magazine is 60" (length) x 19" (width). Has Dekka 22 bottom tape head. Has vacuum pick off and bag blower. Allen Bradley SLC 5/04 PLC controls. 3/60/480V. 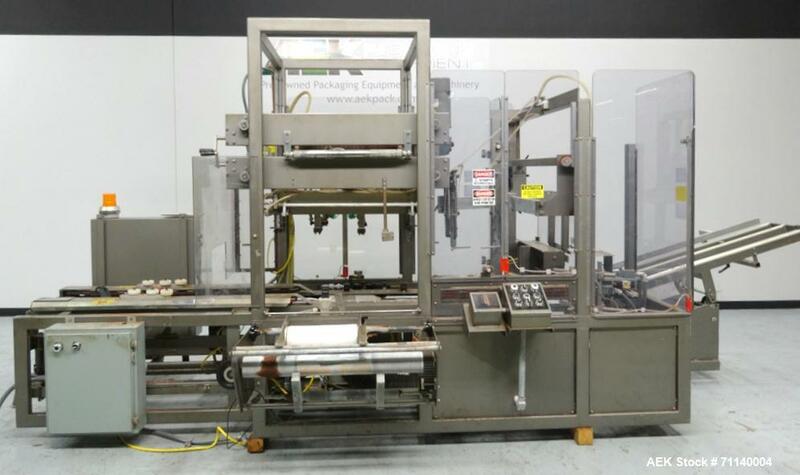 Used- K&R Model PBI Case Erector with PS Tape Sealing and Poly Bag Inserter. Preformed polybags are fed into the machine from a perforated roll. Air actuated mechanical fingers grip, open and cuff the polybag over extended upper case flaps. Cases are erected and bottom flaps sealed using pressure sensitive tape. Has a case size range of 10" to 12" (length); 6" to 12" (width); and 6" to 15" (height). Case infeed magazine is 60" (length) x 19" (width). Has Dekka 22 bottom tape head. Has vacuum pick off and bag blower. Allen Bradley SLC 5/04 PLC controls. 3/60/480V. 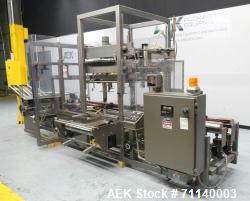 Used- K&R Equipment Model PBI-AT 32 Case Erector And Poly Bag Inserter. Machine is capable of speeds of up to 12 cases a minute. Has a case size range: 12"-16" (length); 9"-16" (width); 6"-18" depth. Was originally set up for a case size of 15" long by 11" wide by 15.5" inches tall. Has Allen Bradley SLC 500 PLC controls. Has a maximum poly bag web film width of 29". Tape bottom seal. 20 Amps. 3/60/480V.